Our Donation Cards can be used in a variety of settings. These cards allow you to easily collect checks, cash, or credit card donations, as well as donor contact information. Paired with blank or printed envelopes, these cards simplify the donation process for you and your donors. They come in two sizes, and can be printed with or without a field to collect credit card information. It's important to make donating as simple as possible. Complicated donation forms can quickly turn off well-meaning donors. 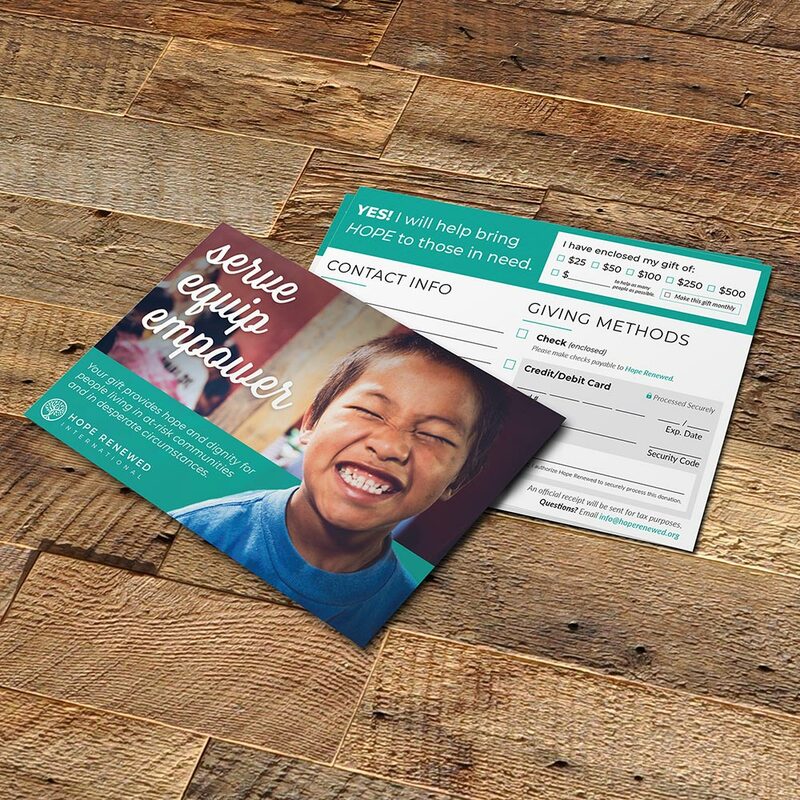 These cards will give your donors an easy way to get involved in your work! Donation cards can also be ordered with correctly sized envelopes that are custom printed with your return address. "Truthfully, everything went very smoothly with the process of the Donation Cards. Lots of communication, beautiful design, and fast delivery!"